The Conaito Slideshow SDK (Software Developing Kit) provides you a smart and effective solution for converting PowerPoint® slides and Images into an easy-to-use Online-Flash-Slideshows and professional Flash content authoring like Trade shows, Conferences, E-learning, Researching, Studies, E-cards, Fun content and many more! The Slideshow SDK is for application and website developers looking to add a Flash Slideshow creation module to their application or websites. 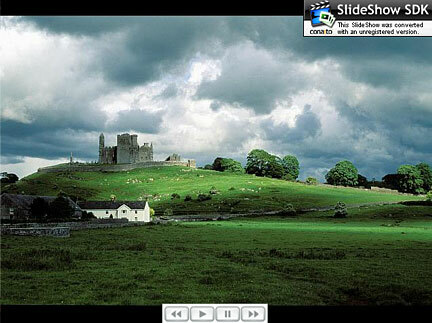 It offers advanced easy to use Slideshow (Images as well PowerPoint® presentations are supported!) features such as automatic playback, audio enabled slideshows, automatic slide advancement, transition between slides, image processing features like rotate, resize and much more. Please, don't hesitate trying our Slideshow SDK at once and get yourself, as well as your customers, the exciting experience of easy, fast and high quality standard applications which can convert PowerPoint® presentations and Images into Flash Slideshows. Conaito Slideshow SDK is written in Microsoft .NET and provides the documentation, samples and related libraries you need to integrate with other applications or systems. We hope you enjoy the Conaito Slideshow SDK – A simple way to create powerful Flash Slideshow’s for your applications and Websites.